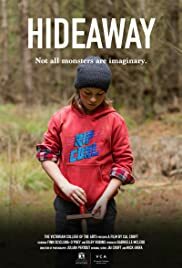 Two young boys, Jimmy and Tom, battle imaginary monsters together in a nearby forest, but soon one's violent home life is exposed and the other must decide whether to intervene. A little boy feels betrayed when his mother has another son and decides to give her a taste of her own medicine-- by summoning another mother. Santeri (13) looks on as older guys are driving their motor bikes and wants to be part of their world. He combs his hair and goes to meet his friend Anna (13). At Anna's home childhood's anarchy meets puberty. Not all monsters are imaginary.